As vice president Ray Wah revealed in a blog post earlier this afternoon, Dell is ramping up performance in its consumer notebooks, desktops, and 2-in-1 convertibles with faster 6th-gen Intel Core Skylake processors. 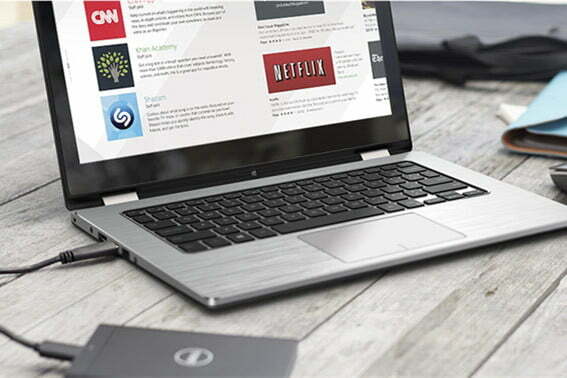 This means that if you’d like, you could buy an 11.6-inch or 13.3-inch Dell Inspiron convertible notebook donning chips based on Intel’s most recent microarchitecture. Compared to previous models, this would support better graphics performance, a more extensive battery life, and even better CPU performance, if to a lesser extent. Among these revised models, we see an update to the Inspiron 11 3000 series, depicted above, which would start at $350 if you’re comfortable with the less luxurious Intel Celeron or Pentium Braswell processors they’re packaged with. If you’re interested in the Skylake-equipped version, you’re looking at a price point upwards of $600. In exchange, you can expect an 11.6-inch notebook with 360 degrees of screen rotation, designed for tablet use, along with a Core i3-6100U processor, and a 128GB SSD. Buyers have the further option of either 4GB or 8GB of onboard RAM. Regardless of which model you choose, you can expect a 1,366 x 768 IPS display, 802.11ac Wi-Fi, Bluetooth 4.0, and 43 Whr batteries, which Dell suggests should sustain about 11 hours of casual use. The Inspiron 11 3000 series with 6th-gen Core i3 sports a single USB 3.0 port, accompanied by two inferior USB 2.0 ports, an SD card slot, HDMI 1.4a, and a heavy-duty 3.1-pound, 0.8-inch thick case. 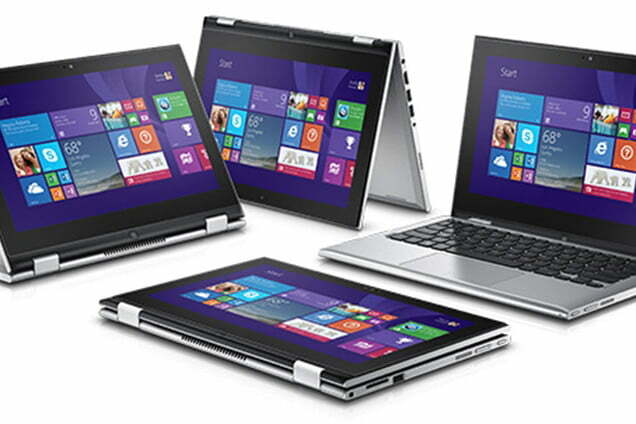 Next up is the 13-inch Dell Inspiron 7000 series 2-in-1 priced, which you won’t find priced at less than $500. Contrary to the 11-incher, the 13-inch convertibles all ship complete with Skylake chips, though you’ll notice that the entry-level edition is limited to a weaker Pentium Skylake processor. However, for $50 more, you can supersize it to an i3-6100U or, if you’re feeling as though money’s no object, you can shell out almost $700 for an i5. With these, you can expect between 4 and 8GB of RAM, a 500GB hard drive or 256GB solid state, and either a 1,366 x 768 or 1,920 x 1,080 pixel IPS display. Each of these notebooks weighs in at about 3.7 pounds with a 0.75-inch thickness. Supplemented by a 43 Whr battery, the series offers about a 6-hour battery life, considerably less than the 11.6-inch models. On the hardware end, you’ll be treated to a pair of USB 3.0 ports, a single USB 2.0 port, an SD card slot, a passive stylus, HDMI 1.4a, and 802.11ac Wi-Fi along with Bluetooth 4.0. Of the bunch, the “special edition” 13-inch Dell Inspiron boasts better hardware and a sleeker design and apparently even better battery life than its vanilla counterpart. Adopters of this series can get either a Core i5-6200U or a Core i7-6500U with up to a terabyte of hard drive storage or 256GB of SSD storage. Every model is complete with 8 gigs of RAM, a 13.3-inch 1080p display, complemented by a 43 Whr battery, which Dell suggests will provide about nine hours of battery life. 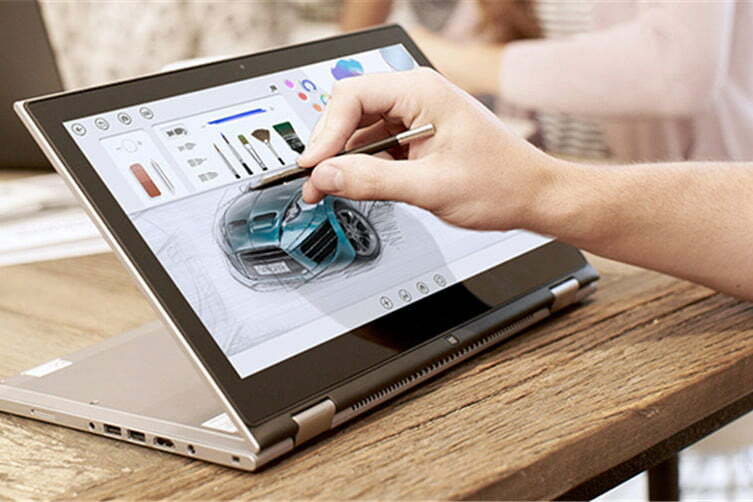 At three quarters of an inch in thickness, or thinness, the Inspiron 13 7000 weighs in at about 3.7 lbs., sporting two USB 3.0 ports, one USB 2.0 port, 802.11ac Wi-Fi, Bluetooth 4.0, and HDMI 1.4a. That’s certainly one way of doing business. Nonetheless, you can buy any one of these convertible tablet/laptop combos with onboard Skylake processors starting now. They seem to be a good mix if you’re looking for both power and versatility.